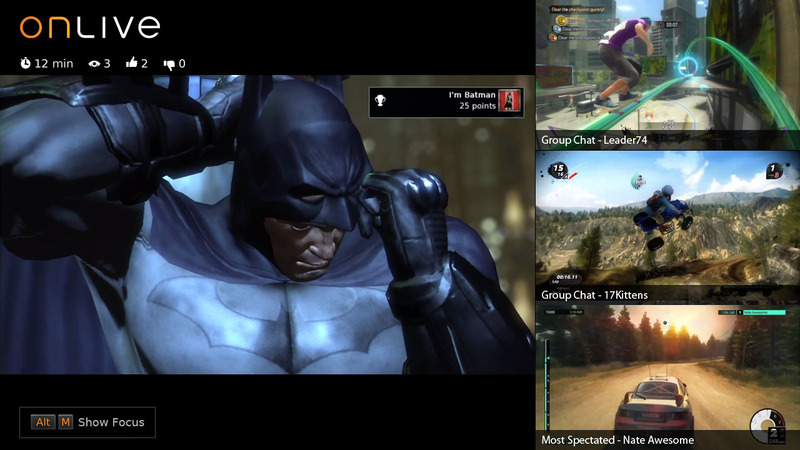 Not long ago at E3 2012 OnLive announced the upcoming OnLive MultiView feature. The sign ups for the OnLive MultiView beta are now live. You can sign up for the OnLive MultiView beta at www.onlive.com/beta/login for the US and www.onlive.co.uk/beta/login for the UK. You have to use your OnLive account login information. The OnLive MultiView beta should commence in 4 to 6 weeks. I wonder why OnLive doesn't put a beta corner right into the OnLive client, where OnLive gamers could easily sign up for various beta tests. 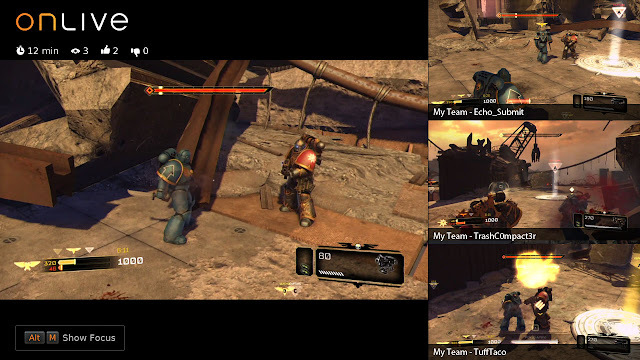 Having this community feature and many others accessible right in the OnLive main menu would certainly engage the OnLive gamer community even more. Players will be able to activate OnLive MultiView with a simple hotkey combination of Alt + M. Whether activated in co-op or multiplayer games to coordinate tactics with other teammates, or in single-player games to keep tabs on friends, OnLive MultiView will deliver a unique social gaming experience that not only is engaging, but adds a new dimension to gaming never before possible. OnLive’s massive spectating Arena already empowers users to spectate and chat with other gamers, so OnLive MultiView really is a continuation of the work that OnLive put into the Arena, but with gamers' ability to pursue their own game while at the same time having a 3-window “picture-in-picture” experience spectating other OnLive games in play with voice and text chat. 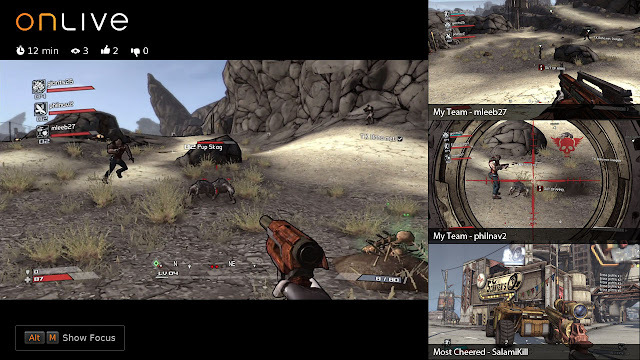 You can read more about OnLive MultiView.